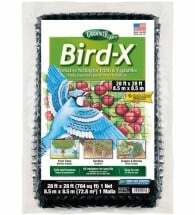 Creates a pest barrier that insects can’t cross! 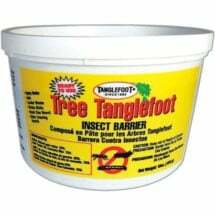 Tanglefoot Sticky Tree Bands are pre-coated to prevent crawling insects from ascending trees, shrubs, vines and woody plants. The most common crawling insects include ants, gypsy moths, spring and fall cankerworms, pecan weevils and codling moths. 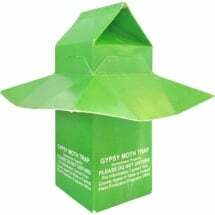 Provides protection 24 hours per day. 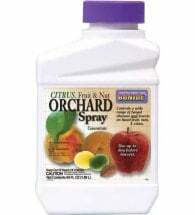 Replace when full of insects or remove at the end of the growing season. Determine the size and number of trees to be banded. Each band is 12-inches long and will fit a 3-inch diameter tree. For smaller trees, cut the length needed with scissors allowing a 1-inch overlap. For larger trees, link two or more bands together. 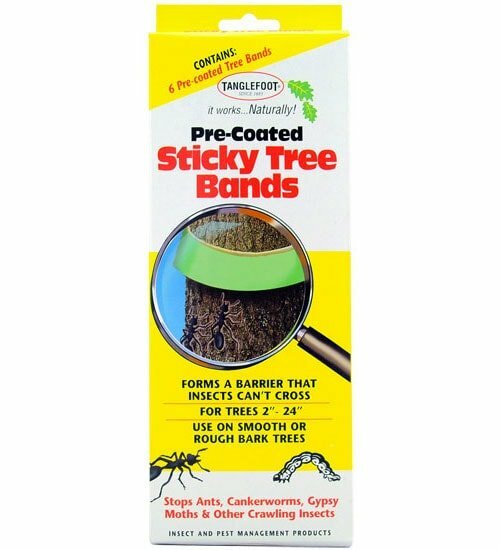 Includes a foam strip that forms to bark crevices and prevents insects from crawling under the barrier. Grasses and low growing branches should be cut back to prevent access around the material. NO chemical toxins! This non-drying, sticky “glue” provides protection all season long.